that confetti popper is so cute! I need to look for one for my boys! You did great coming in under $10! Oh my goodness! I need to go to Target and get those confetti poppers. My kids would love them!! Oh I totally need some confetti poppers!!! I've never heard of those nail polish remover pads, grabbing those too! Oh get the nail polish pads. They save so much time and everything comes off so easily. Great job! I have never tried the polish remover pads, but they seem handy! Thank you so much. they are amazing and totally worth it. I'm so happy to see I'm not the only one that got those confetti poppers! I know my boys are teenagers but I think they'll go crazy for them and so I'm taking them on our vacation the week of the fourth! Fun stuff cute girly! Have a great start to your week! So glad that others found them. You are going to have so much fun on your trip. I can't wait to read about it! I'm dying to know how the candle smells! Fun stuff! It smells soooo good. Not too heavy either. I'm love those nail polish pads and can never find them anymore. I don't think I have checked Target for them but I will next time I go. 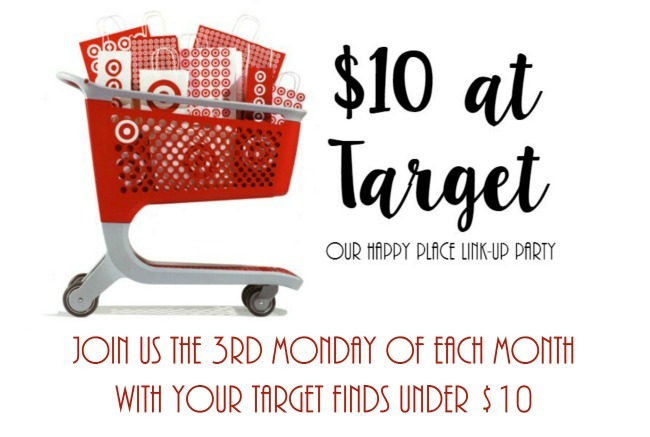 Love me some target! Those poppers are so fun! Didn't see those while I was shopping. I've never tried those nail polish removers, must remember to pick up some. I'm always on the hunt for a good nail polish remover pads because I struggle on about finger #6 to finish it out. I didn't notice the poppers if they had them at our store. Fun! (but to be honest, all I'd be able to think about is the mess...LOL) I bought a bunch of the adorable little red, white & blue sunglasses for some of our little friends! I hope they have that confetti popper at our Target! Need to get that for the kiddos for the beach! Those poppers are so cute!! I need to see if we have any at our Target! I'm going tomorrow so I'll definitely check it out! I mean we are frequent Target shoppers because they have the BEST finds ever! Love all of these, those poppers are adorable! Yes they do! The poppers are going to be so much fun to use. Have a great week as well! Um, I need those confetti poppers. Those are perfect for the fourth. So festive. I need to go smell that candle. I love lemon candles! Target gets me every single time! I cannot walk out of there without fun stuff like this. I love the confetti popper! I'd love to try one of those- - - outside! The candle looks wonderful too! Haha. We will be using them outside as well. The candle smells so good. 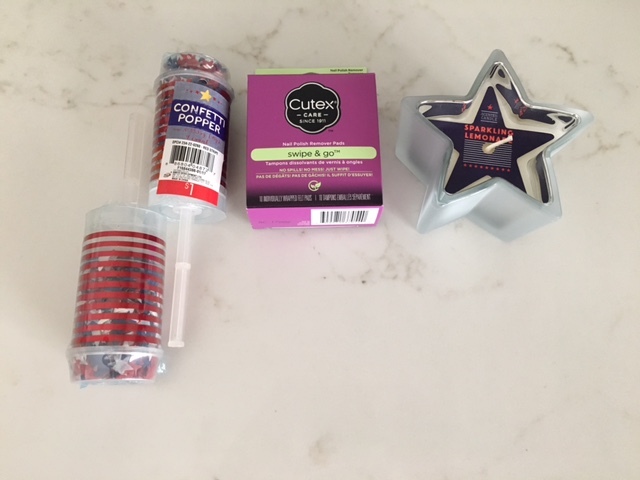 Especially love those confetti poppers, but the candle and nail polish removers are awesome finds too! Those confetti poppers are awesome! I haven't seen those at our store. But, I may have to go look again! Cute, cute! I love this months haul and those confetti poppers are sure to be a hit with the girls! Target is totally killing it with 4th of July everything!!!! I love it! I have to try the nail polish remover pads!